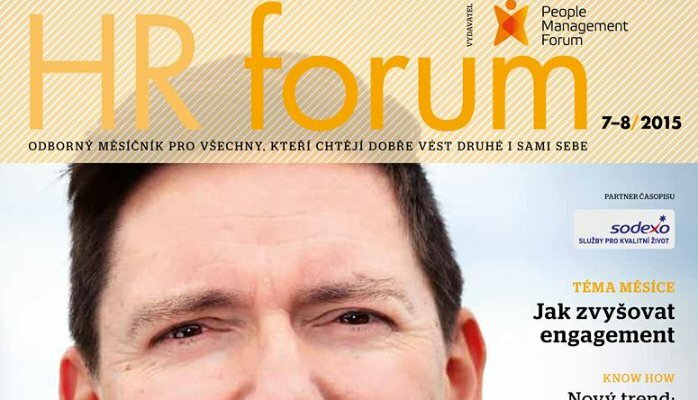 You will be speaking at the World HR laboratory in Prague. What topic will you present? The last three years showed the importance of Big Data analysis. In practice, however, we see that this process is stopped at a certain stage. And this is a great opportunity to grab it. HR professionals should be open to collaboration with IT departments. The problem is not in technology or in data, both have good standards. But we are not yet able to go sufficiently in depth and find correlations between data and business results. But this may change in the near future. The questions is simple: should I hire this person or not. But for answers there are vast amount of statistics and work with the prediction. But when we studied the results of companies that are now working with bigdata, it showed that the predictive validity of their work is not very great. It seems that another problem in practice is speaking the same language when describing the various candidates. How do you perceive the position of HR in business? HR may live for HR, but HR must live for business. HR must listen to it a lot. According to the leaders who took part in our research it is considered very important, they should therefore be more confident in their work. HR should be able to quantify the impact of their work on business which would help them a lot.